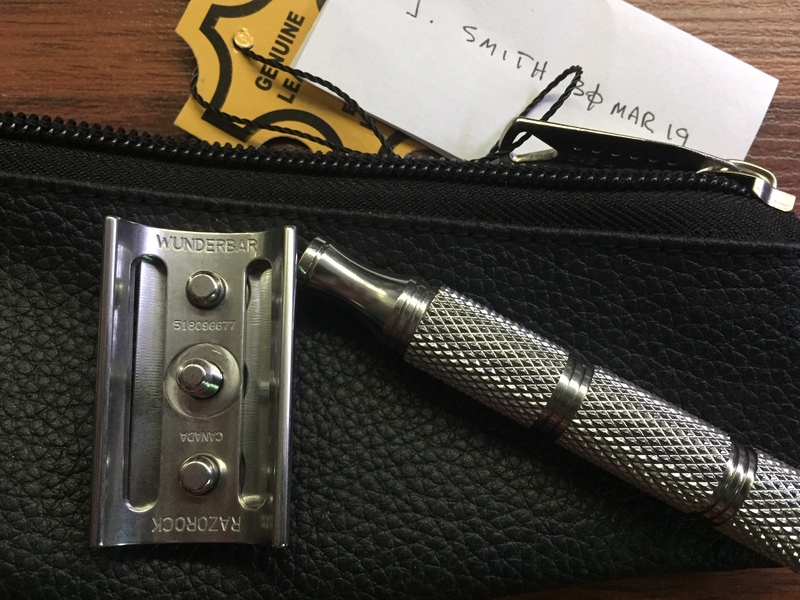 Selling this twice used Razorock Wunderbar with knurled handle recently purchased from RR. 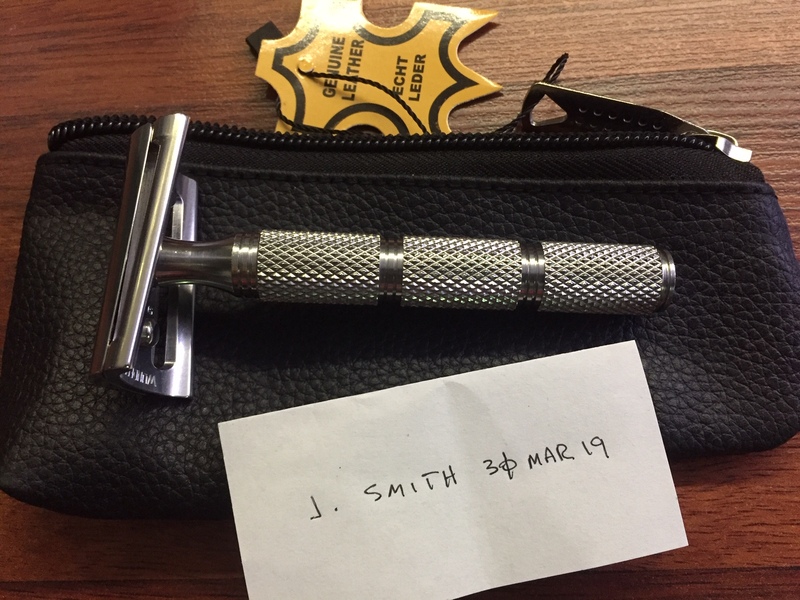 It presents as new and comes with the RR leather carry case. My asking price of $130 (add $5 for PayPal G&S) includes CONUS shipping. Please send me a PM with any questions and/or interest. Thank you for looking.